Northern India is likely to witness light rains and dust storms between April 15-17, according to the MeT department. New Delhi: Delhiites woke up to a pleasant Sunday morning, with the minimum temperature settling a notch above normal. The minimum temperature was recorded at 21.8 degrees Celsius. The humidity level was recorded at 54 per cent. “The maximum temperature is likely to hover around 38 degrees,” the weatherman said. However, the MeT department has predicted dust storms and thundershowers in northwest India, including Delhi, Haryana, Punjab and Rajasthan between April 15-17. Although, dry thunderstorms or dust storms expected in the National Capital Region (NCR) centred on Delhi would not bring any change in temperature, said Soma Sen Roy, another IMD scientist in the same report. 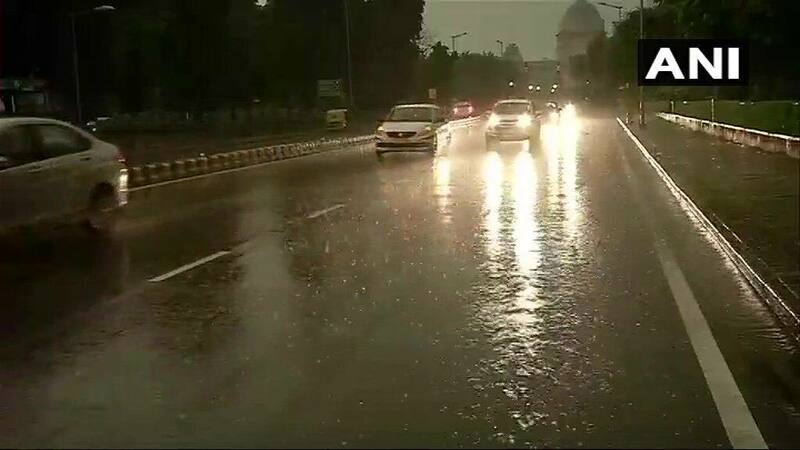 Light rain is expected to lash parts of Himachal Pradesh, Uttarakhand and parts of Uttar Pradesh on Wednesday.